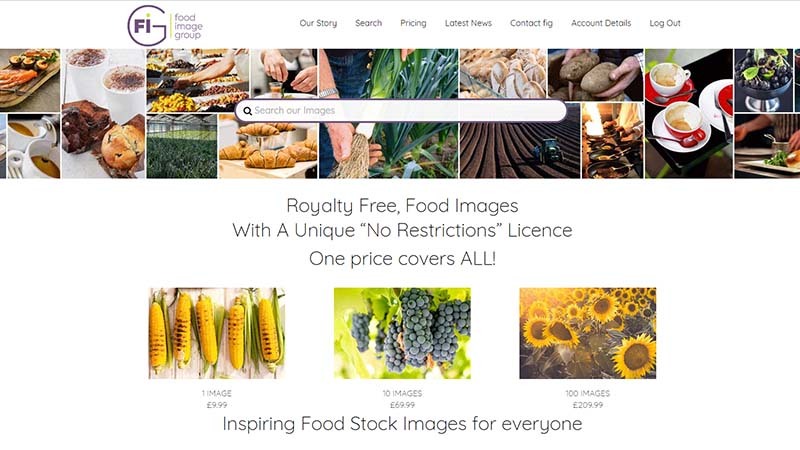 Mike from the Food Image Group got in touch at the start of 2018 to discuss their current website. Food Image Group is a stock image library that purely has images of food (as the name suggests!). They had a couple of bad experiences with previous developers which had left them with a site that didn’t really achieve its primary objective of selling stock photos either as individual images or subscriptions. After spending time with the client and understanding their current site and market place it was clear that the current theme and the plugins they were using would not achieve what they wanted to. This meant going back to the drawing board to achieve the look and feel they wanted, but also the sales functionality. The original site was built using WordPress, so we were able to add a new theme and a combination of e-commerce plugins to achieve most of the functionality they were looking for. There was then a significant amount of custom development in order to achieve the sales functionality they were looking for.